THE STORY - On July 18, 1969, Sen. Ted Kennedy drives his car off of a bridge on Massachusetts' Chappaquiddick Island. The accident results in the death of passenger Mary Jo Kopechne, a 28-year-old campaign strategist who worked for Kennedy. The ongoing investigation into the mysterious and scandalous events forever alters his political legacy -- and ultimately changes the course of presidential history. ​​​“Chappaquiddick” is a bold biopic that walks the thin line between doing what is right by integrity's standards and doing what is right for your legacy. Surely, there’s a blurred line when it comes to one’s legacy when you’re in the middle of a closely watched incident...and you’re a Kennedy. This film puts its focus on the Democratic icon and then-presidential hopeful, Senator Ted Kennedy, as he lives through the week of the 1969 car crash incident on Chappaquiddick Island that took the life of campaign worker, Mary Jo Kopechne. Thematically solid, but not always sharp, “Chappaquiddick” finds a middle ground where it can thrive as a competent political biopic that may not be destined for much. In the film, we see Ted Kennedy try to shift the course of the investigation in ways that could find his involvement forgiven and forgotten. The film navigates the uncertainties of the event sufficiently, whereas, in real life, testimonies were seemingly undermined. It’s July 18, 1969, a year after the assassination of his brother, Robert Kennedy, and Ted has a reunion gathering of his associates and the women of the Kennedy campaign who had worked on Robert’s presidential bid the year prior. Mary Jo Kopechne (A decent performance from Kate Mara) is shown to have a respectful amity with Ted, and the two get in the black Oldsmobile and head to the beach for what will end with her fatal incident. “Chappaquiddick” is well rounded in the ways it portrays a thoughtful memory of a woman— never overlooking how awful Kennedy’s negligence to report was— and the critical slope of a senator’s chance at the Oval Office diminishing. What carries the film is the rabbit hole of speculations and the contradictions that spring forward. It’s a cinematic impression of what happened that night and how exactly it ties into a life that’s hard-pressed to high political standards. Ted Kennedy would later plead guilty to leaving the scene of an accident and was handed a two-year sentence, which was suspended. 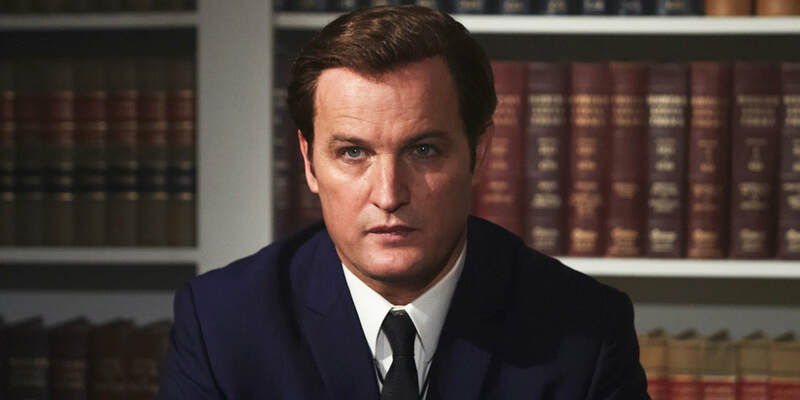 Jason Clarke is convincing here as the fourth and last surviving Kennedy son. Alongside are his closest associates, Paul Markham (Jim Gaffigan) and Joe Gargan (Ed Helms). While Helms has an interesting turn here as Kennedy’s cousin and lawyer, it doesn’t say much for the overall ensemble. You would find better emotional load from the likes of “JFK” or “Lincoln.” Director John Curran doesn’t lift the story enough from dense, procedural heart. It’s hard to pinpoint any trace of feeling in the film when it’s making a straight shot through overtold facts of evidence and timelines; almost like a 90’s documentary came to life. Mary Jo’s character isn’t given proper attention and it falls flat as we continue onward with Ted’s reach for good public reputation. “Chappaquiddick” has a redeeming quality in the form of its simple and appropriately colored cinematography. It’s immersive to the time and offers the authenticity a biopic set in the late 60’s would need. There’s a great sense of entitlement and bewilderment when we see Ted Kennedy sitting in his home library, giving his televised account of what transpired, just as he was by detail to the actual footage. The film not only looks at his loathing of a legacy lost but also what stakes are and aren’t worth getting over. The script from Taylor Allen and Andrew Logan seems more interested in the confines of moral strategy and how it played into Kennedy’s struggle to adjust himself out of the family shadows. “Chappaquiddick” is consistent with historically intriguing facts. We will never know the real sequence of events from that night, but the sensational mark it leaves behind is dire. It lacks the substance to make it a relevant look at the hierarchal power of politics and negligence.